Supervisory Tools - Survox Inc.  The suite of tools included with the Survox platform gives supervisors unparalleled control over their operations and the ability to set-up, test and launch surveys at the touch of a button. Up to the minute reports give you full control of research operations to maximize interviewer productivity and the ability to make changes as and when required. Real-time management reporting and live study updates enable supervisors to manage operations much more efficiently. Supervisors have a close-up view of every aspect of each of their surveys including interviewer productivity, call metrics, and sample usage for in-progress surveys. The Survox UI offers real-time control of sample availability to speed quota completion. 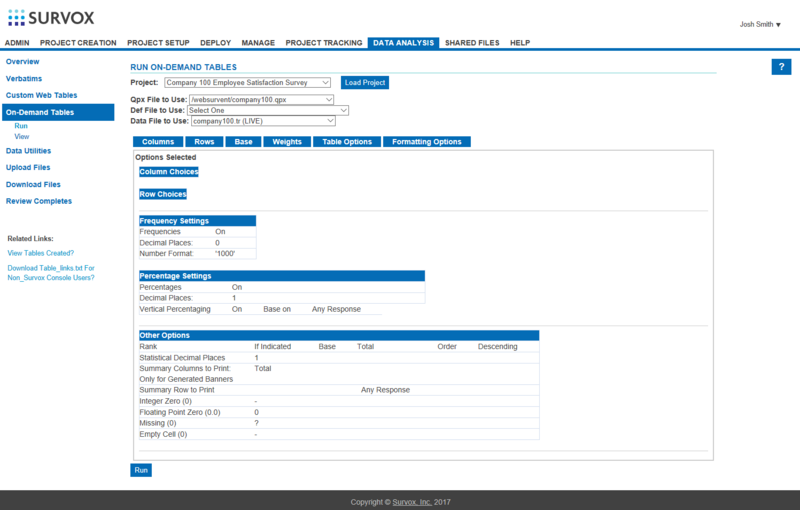 Over 30 reports are available to give you a clear view of the status of any project.